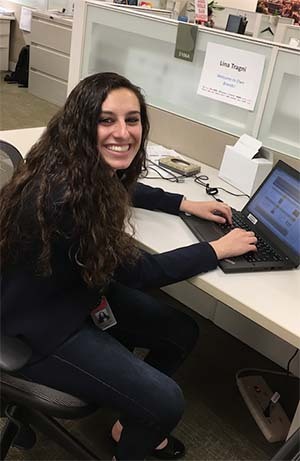 "At my internship at Albertson’s Companies, my responsibilities include financial forecasting, product evaluation, and obtaining and managing consumer insights as well as attending product cuttings. I have learned so much during my summer internship, such as how to forecast whether a product is a good financial investment, how to determine what consumers are saying about products, and how certain products follow certain trends. As a political science major, I really wanted an internship where I could experience what a corporate office and professional environment was like. I believe that internships are important for undergraduates because it allows them to experience what a job or field is like prior to graduating. Being an undergraduate student, I think its important to put yourself out there and apply for any position that looks interesting. After I graduate, I hope to work for a few years then pursue a master’s degree in security studies, emphasizing my studies on national security."